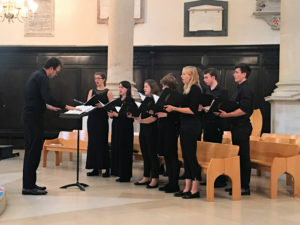 Choral Classics at St Stephen Walbrook offer thirty minutes of sublime choral music from the Choral Scholars of St Martin-in-the-Fields interspersed with readings on a theme. Choral Classics takes place on Mondays from 1.00 – 1.30pm. Choral Classics services have been supported by The Worshipful Company of Grocers, for whose generous support we are most grateful.